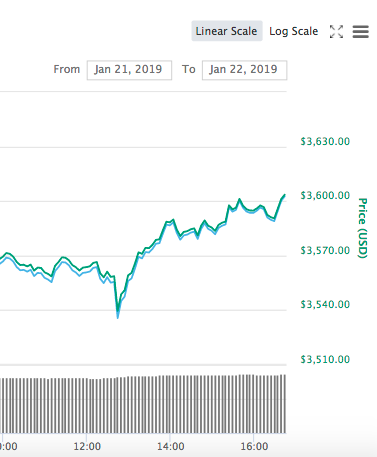 An influx of capital has been arriving to the crypto market over the last 24 hours. After a red period coinciding with the Blood Moon at the beginning of the week, market cap is recovering slowly. Global market capitalization has increased by about $3 billion after bottoming on the $117 billion mark for the day at around 12:00 UTC. Currently, it has recovered to Monday’s $120 billion range. 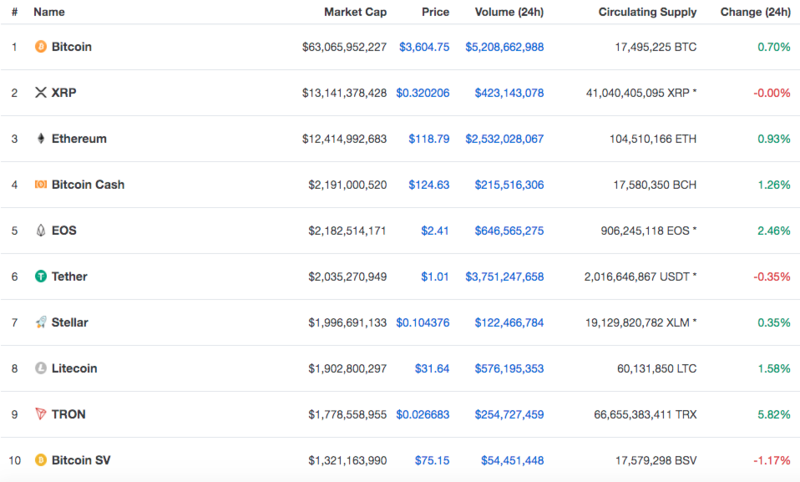 On the top 10 cryptocurrencies, TRON is outperforming the rest, by climbing close to 6% on the day to $0.026. EOS is the second-best performer, with gains of about 2,5% in the last 24 hours. Extending the range all the way to the first 100 currencies, Loopring is the greenest token of the day packing gains of 42%. Apollo Currency sits on the other side of the table, after recent allegations of being a badly managed “cloned coin” which Chepicap reported on, a community concern which keeps on topping Reddit rankings today.